Archive for the ‘Political’ Category. 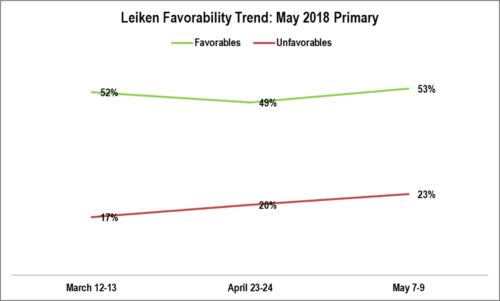 Though Leiken sunk rapidly in the ballot tracking, there was little movement in his favorability rating – he was consistently hovering around 50%. Springfield still likes Sid Leiken! The ballot tracking results are at: lindholmcompanyblog.com/?p=14825. QUESTION: Now, I am going to read the names of some people. Please tell me whether you have heard of each. Sid Leiken IF HEARD OF … Do you have a favorable or unfavorable opinion of Sid Leiken? IF FAVORABLE OR UNFAVORABLE: Is that strongly or somewhat? 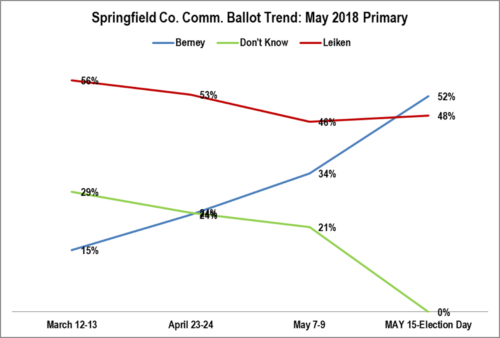 METHODOLOGY: 200 live telephone interviews of likely Springfield County Commission District 2018 Primary voters were conducted each of March 12-13, April 23-24, and May 7-9, 2018. The margin of error for each survey at the sample median is plus or minus 7%. Joe Berney’s favorability jumped dramatically after the ballots went out. This is one of the most rapid gains we have seen in local polling – more than 10% per week and tripling! QUESTION: Now, I am going to read the names of some people. Please tell me whether you have heard of each. 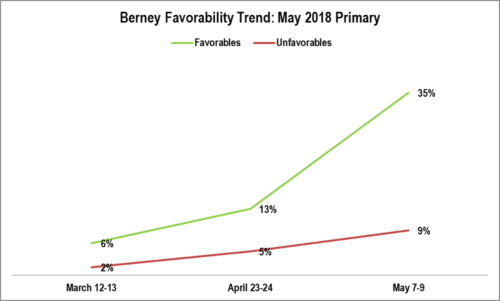 Joe Berney IF HEARD OF … Do you have a favorable or unfavorable opinion of Joe Berney? IF FAVORABLE OR UNFAVORABLE: Is that strongly or somewhat? 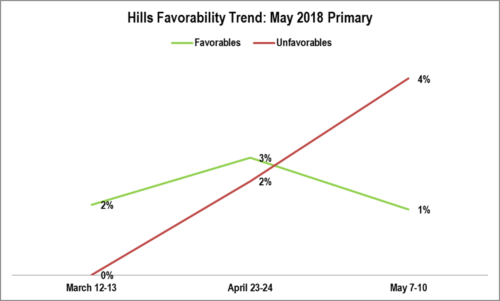 Hills was not actively campaigning and it shows in the polling. No one noticed. The ballot tracking results are at: lindholmcompanyblog.com/?p=14823. QUESTION: Now, I am going to read the names of some people. Please tell me whether you have heard of each. Beverly Hills IF HEARD OF … Do you have a favorable or unfavorable opinion of Beverly Hills IF FAVORABLE OR UNFAVORABLE: Is that strongly or somewhat? 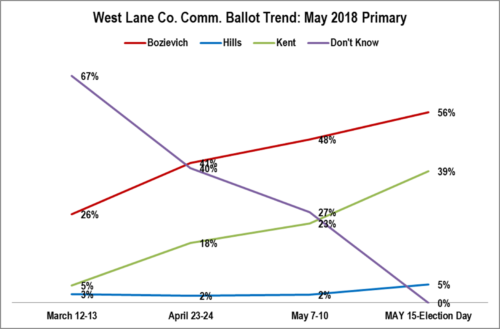 METHODOLOGY: 200 live telephone interviews of likely West Lane County Commission District 2018 Primary voters were conducted each of March 12-13, April 23-24, and May 7-10, 2018. The margin of error for each survey at the sample median is plus or minus 7%. Kent gained during the campaign, but not nearly enough. As seen in the Bozievich Name ID post (last one just before this), he just gained must faster. QUESTION: Now, I am going to read the names of some people. Please tell me whether you have heard of each. 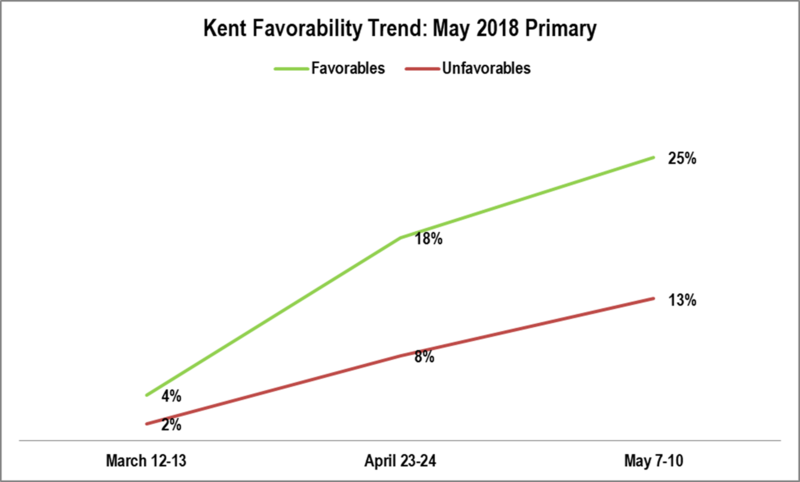 Nora Kent IF HEARD OF … Do you have a favorable or unfavorable opinion of Nora Kent?IF FAVORABLE OR UNFAVORABLE: Is that strongly or somewhat? 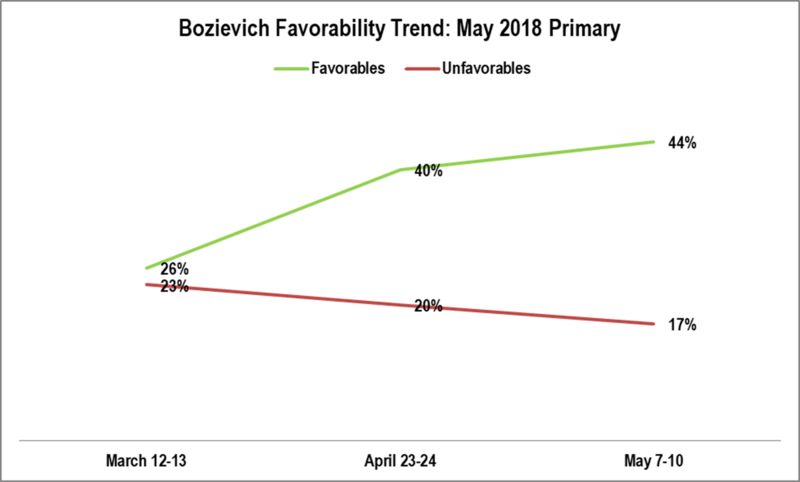 Bozievich’s low net favorability at the beginning of the campaign tracks well with his initially low ballot standing. He steadily gained. QUESTION: Now, I am going to read the names of some people. Please tell me whether you have heard of each. Jay Bozievich IF HEARD OF … Do you have a favorable or unfavorable opinion of Jay Bozievich? IF FAVORABLE OR UNFAVORABLE: Is that strongly or somewhat? The Springfield contest was very different than the West Lane contest. Sid Leiken started in a very safe position: in the mid 50s. Then, between the ballots going out and a week before the election his support collapsed. He dropped 10%, down to the mid 40s. Not only that, but the Leiken campaign kept collapsing during the final week. 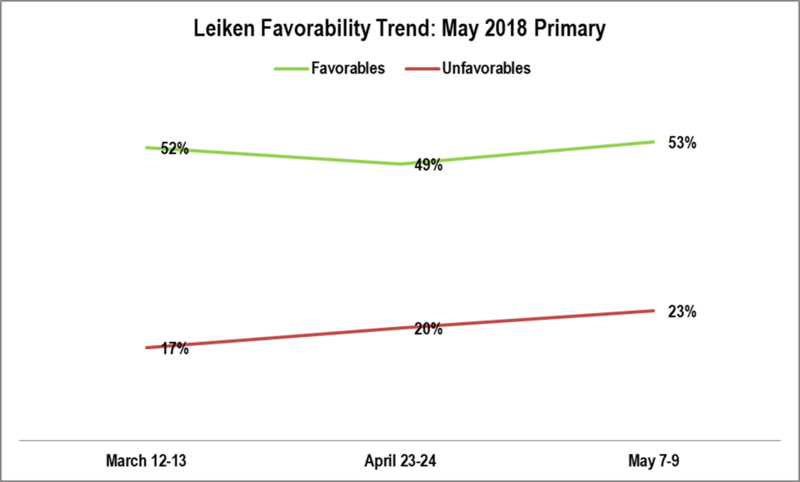 Normally, Leiken would be expected to get about a third of the remaining 21% undecided. He only won a tenth! Leiken’s 2014 race was more normal (see: http://lindholmcompanyblog.com/?p=10690). 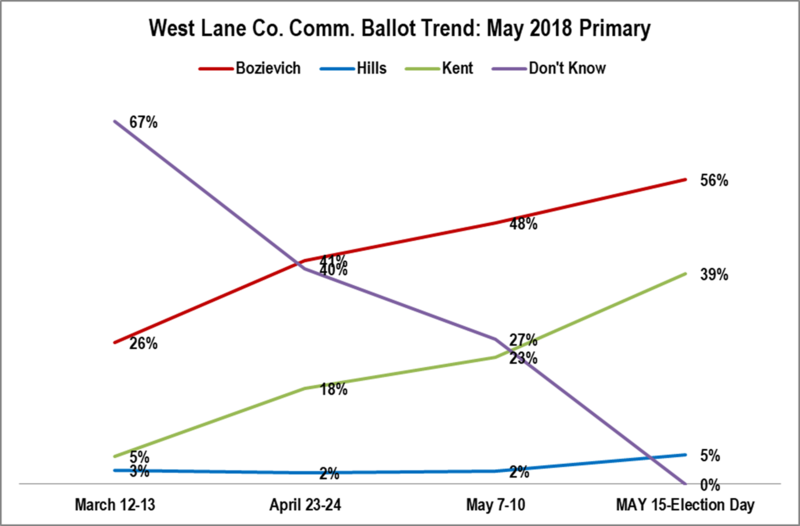 In the last post we saw that Bozievich won West Lane due to the campaign. 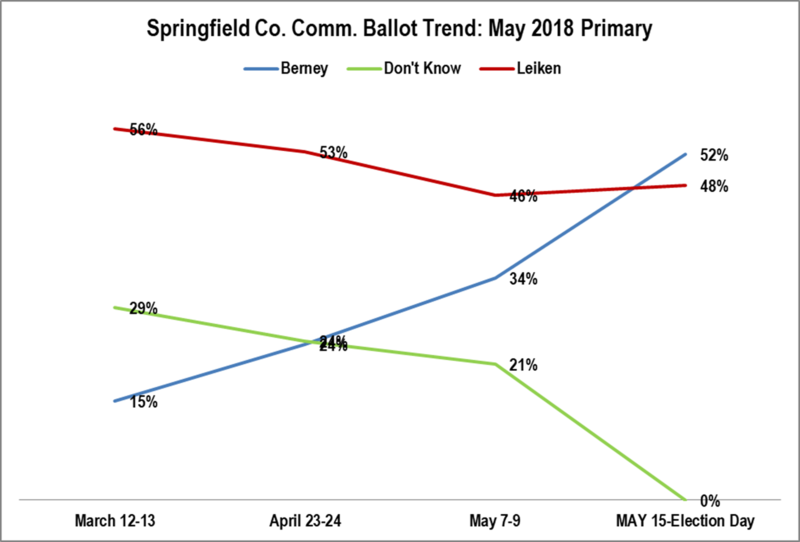 In this post we see that Leiken lost Springfield due to the campaign. 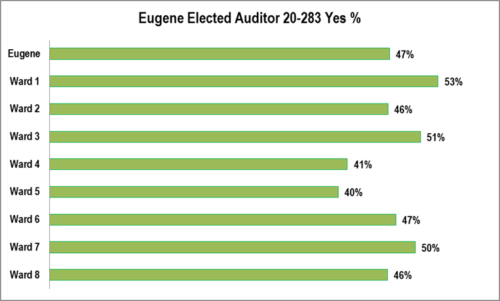 QUESTION: If the election were held today for Lane County Commissioner, would you vote for: Joe Berney or Sid Leiken? [IF DON’T KNOW]: Which way do you lean? The story here is Jay Bozievich’s steady climb from a very weak position to a solid victory. In 2014 he barely won – it went down to a recount. After that, everyone knew he was weak. And a county commissioner running for re-election starting with less than 30% support is pretty weak. The big shift appears to have happened early. The King campaign essentially disintegrated in the weeks just before the ballots went out. 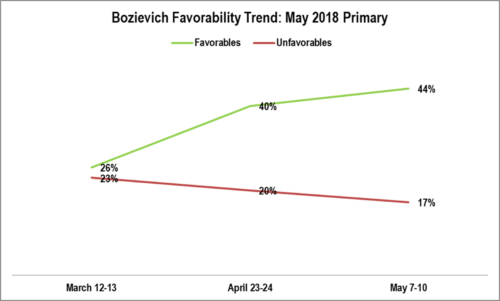 During the final three weeks of the campaign Bozievich just cruised to victory. Bozievich won re-election because of the campaign and not because of what he’d been doing for voters the past four years. QUESTION: If the election were held today for Lane County Commissioner, would you vote for: Jay Bozievich, Beverley Hills, or Nora Kent? [IF DON’T KNOW]: Which way do you lean? This chart shows how much better the elected auditor measure did by ward than the appointed auditor measure. 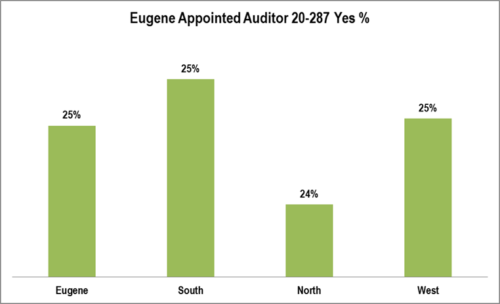 As one would expect based on the geographic distribution of voting for the appointed and elected auditors there is not much variation. However, the least variation was in north Eugene. 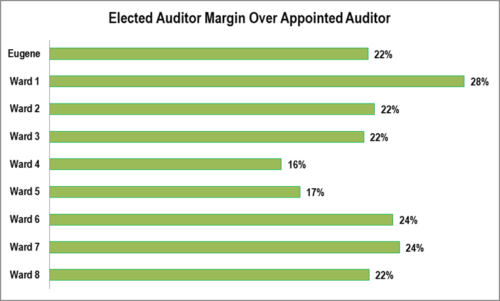 The greatest variation was in Ward 1 – in the area of the city where many of the leaders behind the elected auditor measure reside. West Eugene: Wards 6, 7, and 8. Compared to the appointed auditor there is slightly more regional variation, but still nowhere near most measures in Eugene. 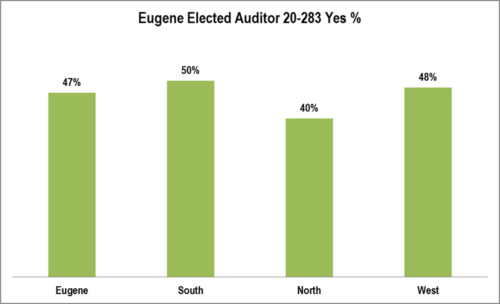 A variation of 40% to 50% between north Eugene and south Eugene is very little. Compared to the parks measures, there is virtually no variation by ward. 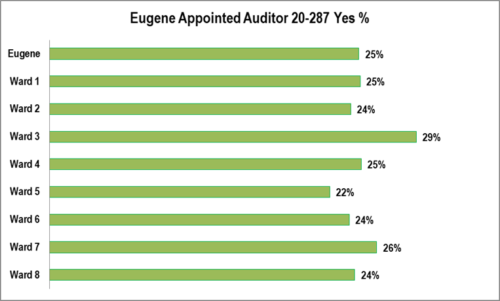 The appointed auditor measure placed on the ballot by the city council lost overwhelmingly everywhere. This figure was left at standard XL layout just to point out that the variation among regions of the city was between 24% and 25%! This is probably the least variation by region in Eugene in decades.